Meridiana Homes For Sale is a great place to start your research on the new community in Iowa Colony Texas, Meridiana. My name is James Potenza with Texas Buyer Realty LLC and I am a graduate of the Meridiana University and a fully degreed expert in the Meridiana community. I have over 11 years experience helping my clients build and purchase new construction homes. Visit my new home website Buy a Meridiana New Home And here is another great source for Buying A New Home in Meridiana and if you are looking for a Manvel New Home Realtor. You can also find a great Pearland New Home Realtor. This is a quick photo shoot at Meridiana Texas, still under construction. The amenity village consists of a Welcome center, Amphitheater, Conservatory, Fitness Center, Pools, Cafe, Meridian Tower, and an amazing splash pad and playground for the kids. Now who wouldn't want to play on this one of a kind "wet" playground. The entire area will be filled with water. This is the view of the Amenity Village. You can see the amphitheater and the Meridian Tower. I had the pleasure of meeting Meridiana's Ambassador, Soleil. She is a very sweet and lovable Golden Retriever and greets everyone at the welcome center. Meridiana has a brand new elementary school which just opened in the fall of 2016. Your kids will already have a brand new school within the community the moment you move in ! There are talks with the developer, Rise Communities and the Alvin School District to build a High School Football Stadium in the Meridiana community. The last time I had a conversation with the developers, it sounded like a done deal. How cool will it be to have a stadium within your own community? So how do you find the right home for you and your family in Meridiana? I have created a really nice Meridiana Home Search Website where you can search all homes for sale in Meridiana. I can represent you with any home purchase in Meridiana, building from the ground up or purchasing an already built home. My experience with home builders since 2005 will give you an advantage when making an educated decision to buy a home in Meridiana. Once we decide on the right home builder in Meridiana, I will help negotiate the best deal possible, help you with choosing the right options and upgrades, and ensure the entire build process goes as smooth as possible. See what my clients have had to say about working with me. James Potenza's Reviews And remember, my representation never costs my home buying clients anything. The home builders in Meridiana include some of the best in the area. Perry Homes, Highland Homes, Trendmaker, Taylor Morrison, Plantation, CalAtlantic, Shea Homes, and David Weekly Homes. I have my own experience with most of these builders and can share that experience with my Meridiana home buying clients. Just call 832-372-6388 or email me James@NewHomeJames.com I represent your best interests no matter which builder you choose to work with. You will find that using an experienced Realtor to help you buy a new home in Meridiana will definitely pay off. It does not cost you anything and you will have an expert on your side from contract to close. Watch this video to learn more about how using an experienced New Home Realtor to buy a new home in Meridiana will benefit you. These are my very happy clients that just built a Highland Home in Meridiana. I was very pleased with the final product and they are super happy to be in a great home and community like Meridiana. James did a great job helping my wife and I find the ideal community to build our first home. He gave us numerous options before we settled on a community perfectly suited to our needs. He helped us negotiate a number of free incentives and upgrades from the builder. James made the house search easy and stress free and did not pressure us to make a decision. After the build started James visited the house regularly to check on the status of the construction and gave us tips on what to look for during the build. James also helped refer us to and inspector who did an excellent job. We chose James because he is very service oriented and he did not disappoint. We highly recommend James as a buying agent! If you are considering purchasing a home south of Houston and right near Pearland, do yourself a favor and check out Meridiana Texas. If you woudl like to be represented by a new home expert and Residential Construction Certified Realtor, Contact James Potenza now ! James@NewHomeJames.com James has been selling homes in Meridiana since before they completly opened in 2016. This is going to be the Meridiana Cafe overhanging the water. Visit Meridiana Homes for sale to search current homes being built right now. If you would like a private tour of the Amenity Village before it opens, call or txt me 832-372-6388 or send me an email James@NewHomeJames.com to schedule your tour. You will be completly amazed what Meridiana has to offer !! Our team can get your home SOLD fast and James will be your New Home Buyer's Agent. James takes care of ALL your Real Estate needs. Proudly serving the Houston Texas area since 2005. Buying a home? James provides a visual pre-inspection and a residential construction analysis on all of the homes he visits with his clients. Yes, James actually climbs in the attic with a flashlight - and he points out potential problems. Real Estate listings posted are active as of the posted date and could be currently sold. Data has not been verified or guarenteed. Contact us for the current list of homes for sale. 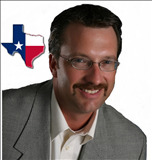 Find TX real estate agents and Pearland real estate on ActiveRain.